When the time comes that you need to locate the right Charlotte window blinds and shutter company, how will you know who to call on? At Sweet Shutters and Shades, we take this line of work seriously, which is evident from the results that we get. Picking the perfect window coverings is an essential part of completing the look of your home. This is an important step because your window treatments impact the look of both the inside and the outside of your home. Be it custom draperies, shades, window blinds or shutters in Charlotte, they will effect the interior design aesthetics and the exterior curb appeal. So make it a point to understand your options and choose wisely. This is also why it is so vital to choose the right professionals to work with. Too many self-proclaimed window treatment experts are really just window blind salespeople, with little knowledge of the industry but a lot of mass-produced overstock to peddle. Don't settle for less than the best, when it comes to your home and your windows. 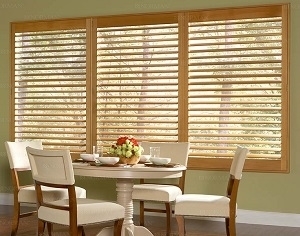 One of the most classic of looks for window treatments is the shutter. Historically, this was a window covering attached to the exterior of the window in order to help protect the panes of glass from possible damage. Since then, they have made the move to the indoors, in most cases, and are as much about decoration as they are function. Of course, they offer plenty of essential benefits, as well. Quality shutters in Charlotte improve the look of your home and add to the overall property value, making them a wise investment. Plus, they are the ideal choice for maximum capabilities when it comes to light control and privacy. No other style of window treatment comes close, other than blinds. Window blinds are easy to maintain. The amount of cleaning and care required will vary slightly, depending on the material that you select. We can help you choose something that is best suited for your lifestyle. You have countless exciting options, when it comes to materials, colors, styles and patterns. During your free in-home consultation, one of our field experts will review all of your possible options, and demonstrate what they would look like in your residence. They also work quite well for light and privacy control. The slats adjust so that you have options aside from just opening or closing your blinds. 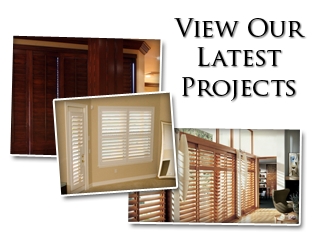 When it comes to finding the perfect window treatments in Charlotte, NC, let Sweet Shutters and Shades take care of you. From blinds and draperies to shutters, shades and solar screens, you can depend on us for quality products at affordable pricing. 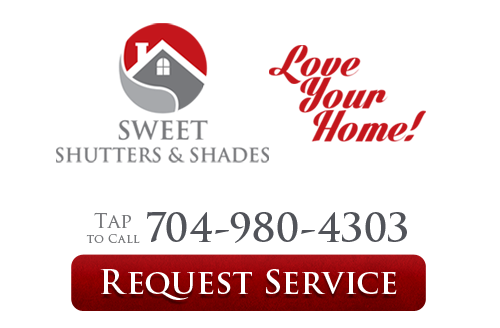 If you are looking for an experienced Charlotte shutters or window blinds professional then please call 704-980-4303 or complete our online request form.